NUMBERS is part of Apple’s iWork-Suite for editing spreadsheets and beyond. I would like to discuss the possibilities of NUMBERS to analyze data on the iPad. Data are exported from Microsoft Excel as a CSV-File (comma separated values), that means all data elements like account numbers, reference numbers and currency values are separated by the character ‘;’. One record contains for example the relevant details of an invoice. 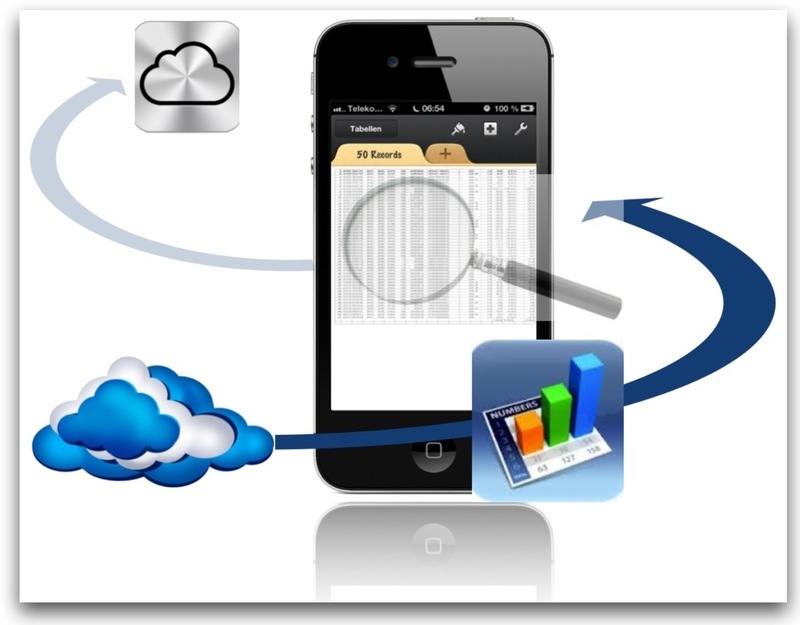 The CSV-File is located on a cloud storage (iDrive) of Pro Softnet Corp., USA. iCloud is activated on iPad for programs and data. So changes in documents are automatically transferred to iCloud. Previous Post An awesome clipboard in iOS 7?